Learning sign language can be a fun experience and help you communicate with more people in the deaf and hard of hearing community. It can also lead you down many different paths. Whether you are a beginner or an experienced signer, it's good to understand the different aspects of the language. This includes the basic signs and techniques, where you can find resources to learn it, and the various types of sign languages used throughout the world. Learning to sign the alphabet (known as the manual alphabet) is usually the first place to begin. Sign Language Alphabet - Each of the 26 letters in the English alphabet are represented with a unique sign in American Sign Language (ASL). They're relatively easy to understand and some even mimic the shape of the letter they represent. Practice these and commit them to memory and you will have a good foundation for signing. Fingerspelling - Once you know the individual letters, you can use them to form complete words. This is called fingerspelling and it's an effective way to communicate, even if you don't know the real sign of a particular word. Once you have learned to sign the alphabet, you can dive deeper into ASL. There are many ways to approach it, including online and print sign language dictionaries and classroom instruction. For many people, it's useful to do a combination of these techniques. As with learning any language, there is great value in attending a class. It allows you to learn from an instructor who can explain some of the finer nuances of the language that you simply won't get from a book or website. Sign language can also be used to have fun and there are many opportunities to be creative with the language. Examples include sign language games, creating sign language names, and "writing" ASL poetry, idioms, or ABC stories. There is even a written form of sign language that you can explore. What good does it do to learn sign language if you don't practice it? Like any language, if you do not use it, you lose it. The deaf or signing community offers many opportunities for practice. You can usually learn about ways to interact with others by contacting a local resource center for deaf and hard of hearing people or a hearing and speech center. For example, signing people often enjoy going to silent or ASL dinners and coffee chats. It's important to understand that sign language comes in multiple styles, much like unique dialects in a spoken language. What you sign with one person may be different than the way another person signs, and this can be confusing at times. For instance, some people sign "true American Sign Language," which is a language that has its own grammar and syntax. Others use Signed Exact English (SEE), a form that mimics the English language as closely as possible. Still, others use a form of sign language that combines English with ASL, known as Pidgin Sign Language (PSE). Sign language is also used differently in education. Some schools may follow a philosophy known as Total Communication and use all means possible to communicate, not just sign language. Others believe in using sign language to teach children English, an approach known as bilingual-bicultural (Bi-Bi). Sign language has a long history behind it and ASL actually started in Europe in the 18th century. 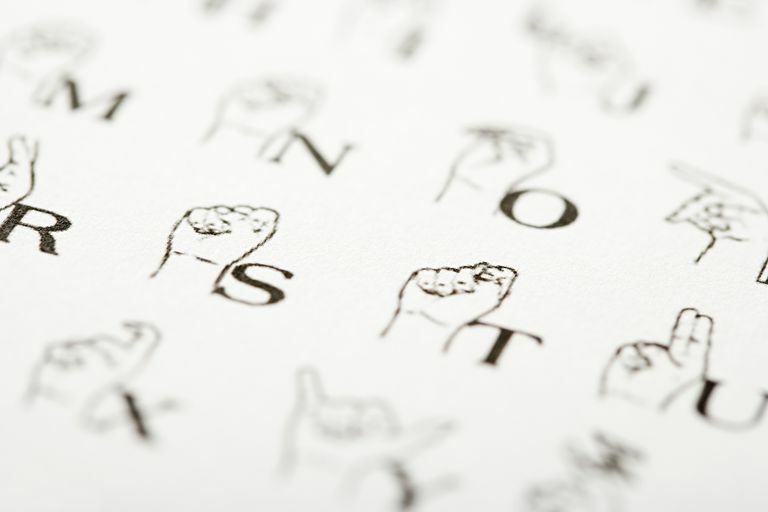 At one time, sign language was dealt a severe blow by a historic event known as Milan 1880. This resulted in a ban on sign language in the deaf schools of many countries. However, a number of individuals and organizations kept the language alive. Additionally, no matter what new hearing or assistive technology comes along, sign language will survive. There will always be a need for sign language, and its popularity has held and even grown. For example, a number of schools offer sign language as a foreign language and many offer sign language clubs as well. While many deaf people need sign language, so do others who are not deaf. In fact, there has been a discussion in the deaf and hard of hearing community about substituting the term "signing community" for the term "deaf community" for this very reason. Non-deaf users of sign language include hearing babies, nonverbal people who can hear but cannot talk, and even gorillas or chimpanzees. Each of these instances points to the importance of continuing the language so that communication is more inclusive. Sign language in America is not the same sign language used around the world. Most countries have their own form of sign language, such as Australia (Auslan) or China's Chinese Sign Language (CSL). Often, the signs are based on the country's spoken language and incorporate words and phrases unique to that culture. A desire to learn sign language can prove to be a worthy endeavor and a rewarding experience. As you begin your journey, do some research and check with local organizations that can offer you guidance in finding classes near you. This will give you a great foundation that can be fueled by practice signing with others.